Do you have a diesel tractor? - Woodgas Farming - Drive On Wood! Do you have a diesel tractor? Well, Tractor Data says it’s 17:1… so a woodgas conversion is theoretically possible. 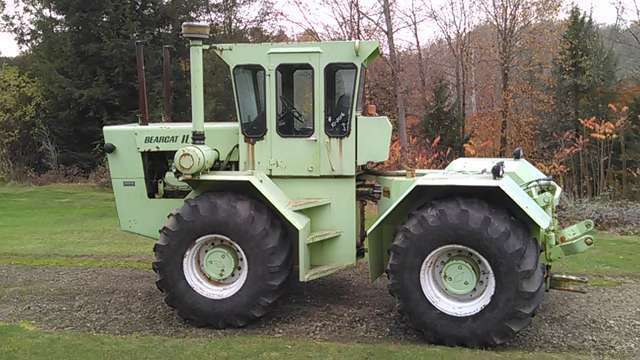 I should throw in here that Johan Linell converted a David Brown diesel tractor, and has run it quite successfully on his homestead. I can’t tell, it may be the 880 model. I’ve got a Yanmar 155d with a FEL. It was puke green so, I painted it JD green to match the 2 Deeres. It has the famous Yammer-hammer so, it is probably fairly high compression. You need to invent a piezo-electric spark plug that converts diesel pressure-pulses into a spark. Kubota BX 2370. 3 cyl. diesel sub compact with mower deck and loader. you guys with the right compression readings… no excuse now, lets see some video of a wood powered diesel tractor!.. Ford 1700 Two Cylinder Diesel bought new in 1982. 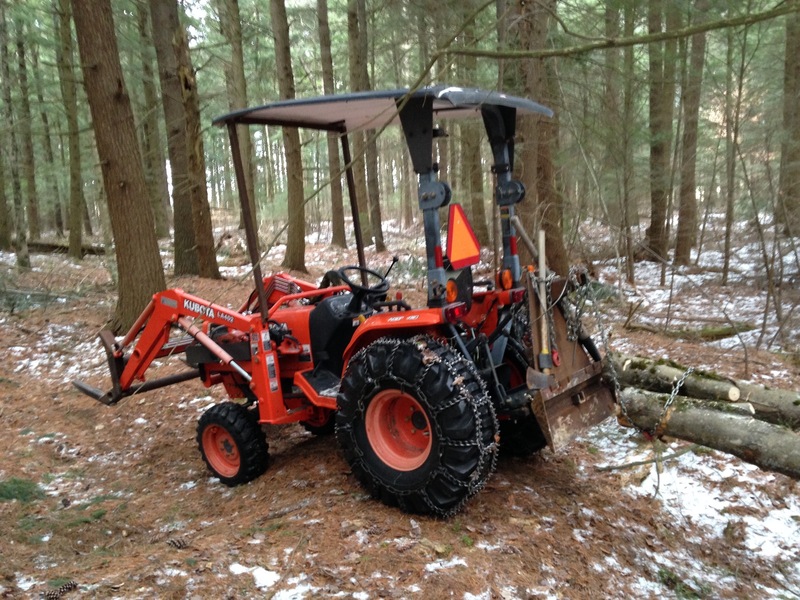 Kubota L3240, with front-end Loader and 4 wheel drive, new Feb. 2011. This is not a tractor but it must have a low CR. Here I am showing Mike LaRosa the little VW running hybrid . The diesel VW Rabbit truck had 23:1 compression. The near 300 thousand miles the motor has on it may have brought the compression down to handle woodgas. The truck had to have glow plugs to start even on a hot August day . Hey WiiliamB, I kinnda resent that Yammer-hammer. My yammer-hammer JD950 sounds sweet and nice - on diesel. So nice my b-i-l made me cough up two shotguns; the wife boxes and boxes of family heirlooms and one Ford car foe us to be able to keep it without a tussle. I even offered him the family 16 foot fiberglass lake/river fishing boat too. He just had to tow that back half a continent away. And that offer DID get me in trouble with the wife offering to give up HER boat! He liked that JD 950 so much he went down to Texas and got a grey-market bootleg imported in Yanmar. Now cries about the 1000 rpm PTO versus N.A. 540 RPM. 1000 takes a lot less gearboxing or belts RPM-shifting to generate with. A Good check mark here. Chris these go by Yanmar tractor model numbers of 2000 and 3000. And ChrisKY pull up the tractor conversion videos for that Baltic’s country’s (Latvia?) guy that I had put up DOW earlier. I’m stopped on a public terminal. Do not have my memory notebooks with me. On my way to the rental center to rent; loads, and on our properties, sound test; a Honda 2000 inverter/generator. My JD 400s are 1,000 rpm PTOs and you have to use a JD cultivator. The Yanmar comes with an interesting story. A tree-trimmer friend called and asked if I was interested in a free tractor. I went over there with a trailer and come-along. I had brought fuel and a battery but, decided to just winch it on. While I was dragging it, the owner came out and said it would run if I had a batt. We fired it up and drove it on the trailer. I had to run in to work and didn’t stay more than a few minutes to tie it down. The tractor looked kinda ratty and the wife made him get rid of it. After I Ieft, he went in and bitched at the wife for making him get rid of it. She relented and he went outside to tell me that I couldn’t have it. I was long gone and he didn’t have any contact info. He had just had the FI pump done. I painted it and put on a couple of arm cylinders and a hyd valve. Unlike a gasoline engine, a knock in a diesel is a post-TDC knock, not a pre-ignition noise. I use straight kerosine in cold weather. You can thin out diesel 2 with gasoline to get the auto-ignition happening a bit sooner. The Rabbit diesel came with a pump advance knob that most people considered to be a “choke” for cold weather. Hi folks! I found this video some time ago whilw I was investigating woggas projects and I think it could help por this project. Aldo it´s build for an electric power plant y found it extremaly simple. What I like of this project is that he made no convertion or modification of the engine. I have a few diesel tractors. A case ingersoll 448 garden tractor converted to a yanmar clone 186 serries 10 hp diesel 19:1 compression those Chinese knock off diesel motors are on ebay all the time. It is an amazingly efficient motor. Pasquali 988. It had a Lambardini 914 diesel motor. Not sure I would convert this one because I got it to go into tight places. Case international 5240. That basically has a Cummings like the dodge trucks but with a different head and thicker block casting. That one i might convert someday if I could. I have three gas tractors as well. Allis chalmers d15 with a loader has the 160 motor it is under powered already for the loader on it so no repower there. Allis chalmers d17 226 motor. I would consider converting that at some point great tractor with live power and tons of power. Farmall h currently a total wreck it belonged to my grandfather and someday I will restore it would be a good candidate for converting because I would use it to Ted hay which doesn’t take much power. I also have a 1940 something WWII military 1.5 ton truck with a straight 6. That or a gas genorator will probably be my first conversion. The truck is 4wd and would just be used around the farm. I bought it a few years ago but haven’t been using it. Been using my chevy duramax instead it is just more cost effective to use my pickup with trailers. Chris, I know this is an old thread and not sure if you’re still doing research or not - but I thought I’d chime in. I have an old TD9-91 with the IHC D350. It starts on gas, then switches to diesel. You can control the compression ratio with a lever 6:1 to 17:1. No glow plugs, you start on gas to warm it up, then flip over to diesel. 350 CI 4cyl, between 60-70 hp. has carb, mag, plugs one side and injection pump and injectors on the other, really throws people for a loop! These engines also came in old IHC tractors, power units, etc… It would be a cinch to run these on gasoline at 6:1 and then flip to wood gas at 17:1 CR. This little Steiger followed me home one day last fall. How bout a 1991 M998 Humvve with a 6.2 liter diesel engine? Would that work to add a wood gas system? Would the wood gas be powerful enough to move the thing? It is a heavy truck.